POLYESTER: (the factory name is dupont) is the most commonly used fiber for making sail fabrics and laminates. excellent its resistance to uw rays, its good resistance to bending and it is rather economical. KEVLAR: it is a colored aramid fiber in gold made from the dupont. The form of kevlar is five times that of polyester; therefore, it stretches less with less weight of material and is surely the most widely used laminate material available in module k29 and k 49. Despite its excellent mechanical characteristics it deteriorates when exposed to UV rays and is very weak in the fold. It is unfortunately very expensive. TWARON: produced in German from Akzo, it is an aramid fiber similar to kevlar. Thecnora made by the Japanese teijin, Technora and an aramid fiber produced for transmission belts. used in laminates, it is colored in black to improve its resistance to UV rays. SPECTRA: it is a material with a high molecular weight of polyethylene fibers produced by allied-signal corporation. has the highest form of all fibers except carbon. it has not had any luck in the construction of racing sails because it has the characteristic to lengthen plastically if subjected to constant stresses over time. for this reason he found a fundamental role in the cruise. thanks to its high form you can build impressive sails at very low weights. presenting itself white and suitable for cruising boats; its good resistance to uv rays and its excellent resistance to bending make it ideal for the construction of inshore and offshore sails, the spectra is more expensive than kevlar. DYNEEMA: it is produced by the Dutch dsm company and has the characteristics similar to those of the spectra. 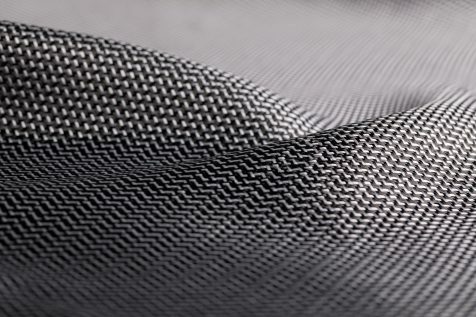 VECTRAN: produced by hoechst-Celanese, the latest yarn in the sail sector is a polyester fiber-based fiber with a similar form to kevlar, but thanks to its molecular chain it is less sensitive to bending and abrasion . it does not stretch out even though more expensive than kevlar is a very interesting fiber to be used in sails. The product that is part of a range that we propose here is unique for its performance and durability. With a weight of 9.7 ounces it shows only 5.5 units of stretching at 200 pounds of load, no breakage after 100 cycles of bending and no degradation after 100hour (3 months of sun exposure) of exposure in the UV aging machine ! This line is an excellent solution for those cruise boats that also want to make regattas, so that the owner is not forced to buy two games of sails. In fact, ZCL can be subject to the abuse of the cruise without renouncing the stability of the form that comes from the use of PBO. His “Alloy” look sets it apart from other materials and makes it particularly elegant to look at. CARBON: it has a very high form, but it is very fragile. during the last edition of the America’s cup somehow contributed to the success of the new boats, but the crews had to be very careful to avoid bending it. the very high cost and its inherent fragility ‘will probably see him relegated to billionaire sports events. PENTEX: new fiber similar to mylar but with significantly higher breaking loads. It is a good compromise for the construction of club race sails, the cost is slightly higher than the traditional mylar sails, but the longer duration largely compensates the difference in cost.